Arma Plaza is conceived as a center for the dissemination of the cultural resources of the city of Hondarribia. Located in Arma Plaza, 9, in front of the Castle of Carlos V (current Parador de Turismo), in the heart of the historical center, it was rehabilitated in 2009. 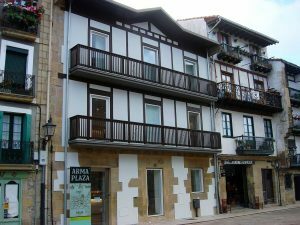 It is the Cultural and Tourist Information Center of the city of Hondarribia, free and open every day.